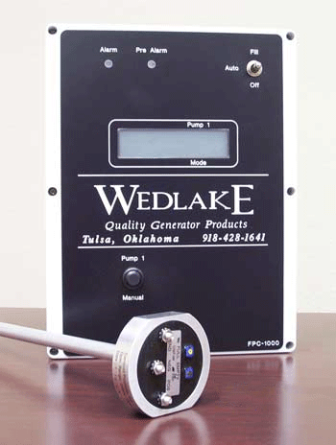 Wedlake is proud to offer our new line of digital fuel level control systems. We have redesigned our entire system, using sending units that do not have any moving parts to provide better reliability. Our FPC series controllers are state of the art and will accommodate a wide variety of your fuel tank pumping needs. 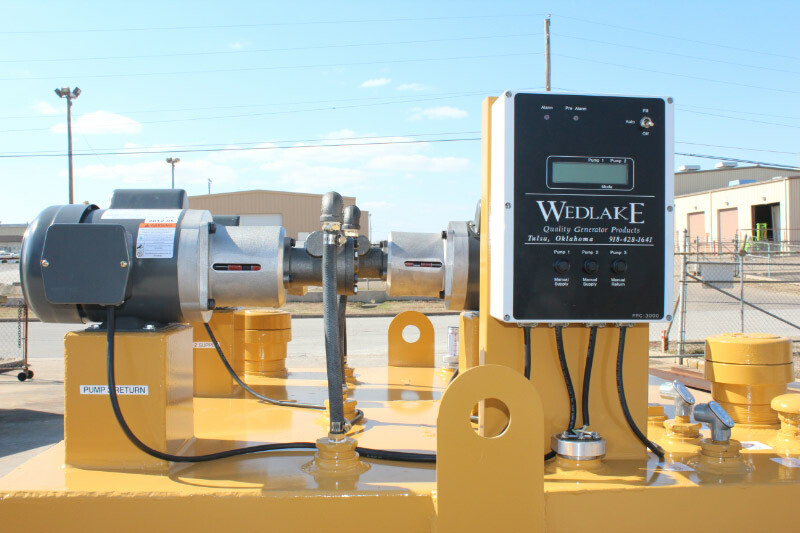 With 5 different controller configurations to choose from, and a new line of 5.4gpm gear driven pumps or solenoid valves, we are confident we can meet your fuel level control system needs. We have made it easy to determine which package you need. The FPC stands for Fuel Pump Controller. The number determines the number of pumps or valves the controller is designed for and the R denotes a return pump. The system monitors and controls the fuel level in the day tank. The controller has three modes used to control tank level. System displays day tank level and has the ability to monitor main tank levels as well. Off Mode – No automatic pump operation, however the system will continue to display the fuel level and status of the system. Auto Mode - for supply pump(s) – Automatic pump operation. Fuel is pumped into the day tank on an as needed basis. Pumping begins when the day tank level drops below 50%. The pumping will stop when the level reaches 80%. (Alternating between supply pumps in a Duplex supply system). Return Auto Mode - for return pumps - Automatic pump operation. Fuel is pumped out of the day tank on an as needed basis. Pumping begins when the day tank level rises over 90%. The pumping will stop when the level drops below 85%. Manual Fill – Manual operation of supply pump when controller is in any mode. 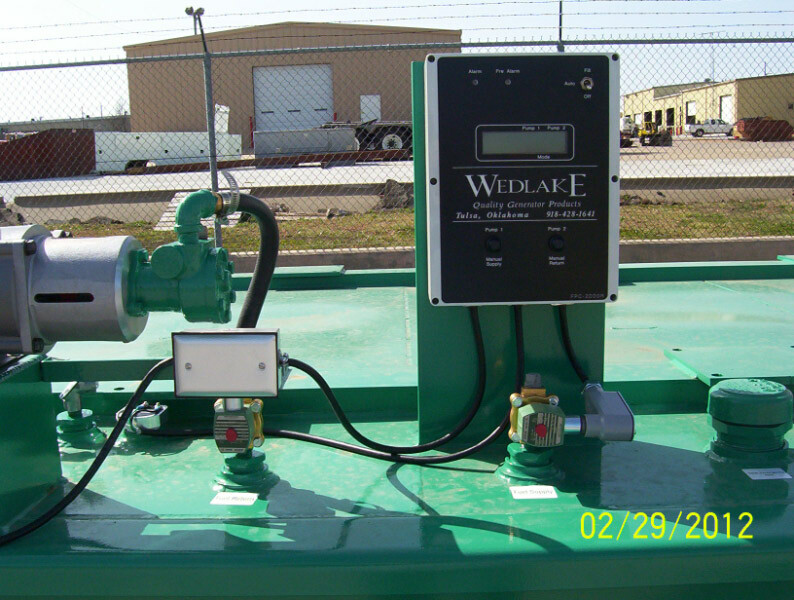 Manual Return – Manual operation of return pump when controller is in any mode.